APC "E" Series RPM Limit is 190,000/Diameter. If your prop exceeds this RPM move to "Glow" Series. APC SAE Prop Inserts - Fit S400 and Slow Fly Series Props which have .312" (5/16" .794mm) adapter ring recess. Each Package contains 18 each 3/16" (.190" 4.82mm) and 2.25" (5.72mm) inserts. Spru of APC Standard E series inserts. Fits any prop with .375" adapter ring recess. 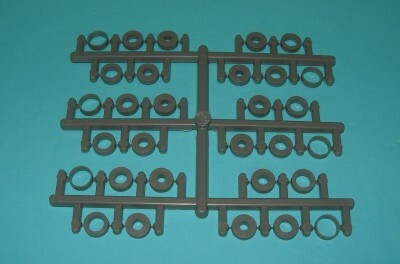 6 each of of 5 different adapter rings. Note, factory drilled hole in APC props should be carefully drilled slightly OVERSIZE. A centering ring should be used to center the prop. The centering ring recess is "on center". 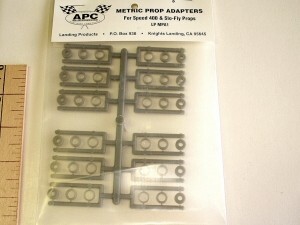 APC Metric Prop Inserts - Fit S400 and Slow Fly Series Props which have .312" (5/16" .794mm) adapter rin recess. 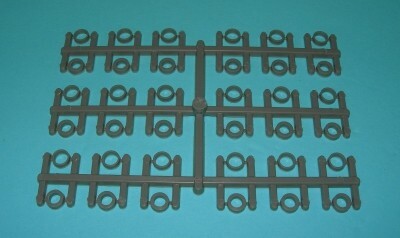 Each Package contains 12 each 3mm, 5mm and 6mm inserts. Free flight .049 propeller LP05730. APC's Newest E Prop ! APC's Carbon Fiber Electric Propeller!